She continues to pursue a lawsuit against families of 3 teen boys who she actually hit. It was October 2012, at night while raining, when she was driving an SUV and the incident took place. Sharlene Simon, 42, was driving home from a bar. Three teenage boys were riding their bikes and she ran into them. She says she only had one drink at the bar. She also claims her husband was following her home in his own vehicle. Her husband happens to be a York Regional Police officer. Sixteen at the time, Richard Esch, ended up suffering a shattered pelvis in the accident. He is still undergoing rehabilitation for his injuries. Meanwhile his friend 17-year-old Brandon Majewski, was tragically killed from the impact of the SUV. 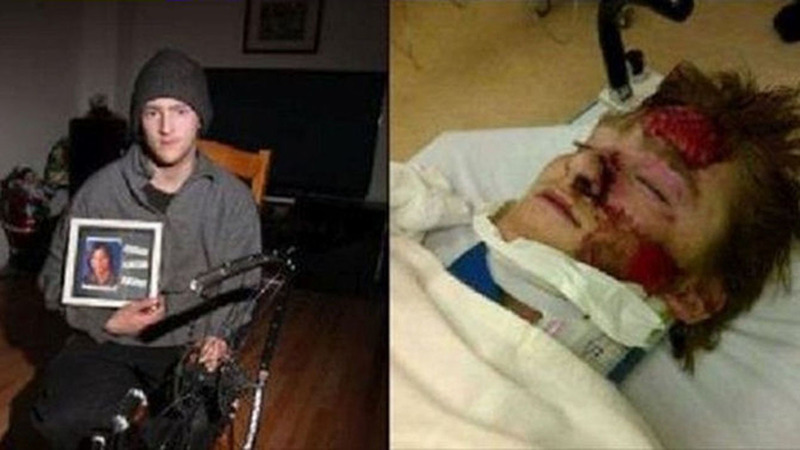 The third friend suffered minor injuries even though he was thrown from his bike. The teens had no drugs or alcohol in their system according to the toxicology report. Police who arrived did not give Simon a breathalyzer test or charge her with any crime, citing that they didn’t think alcohol was a factor in regards to the actions of the woman married to a fellow police officer. This despite the fact that she had just come from a bar. “Emotional trauma” is what Simon is claiming she is going through and the families are apparently to blame so naturally she is suing them. What is Simon asking for? Only a mere $1.35 million in damages. Oh, and of course her husband has also filed a suit. “If this woman was a real person, with a real heart, she would not have done this to us … we have nothing,” Terry Esch said. Both him and his wife lost income from rehabbing their son. Majewski’s father stated how his son’s death took an incredible and naturally devastating toll on his family. Sadly, it turned out that six months after the accident, his 23-year-old son was found dead of an overdose. A result of grief from the incident, rather than a suicide. Majewski’s family in turn filed a separate suit. They are asking Simon at least pay for burial costs, as well as loss of work pay and counseling for trauma. Simon’s lawsuit has delayed money from insurance companies. If she hadn’t filed the ridiculous lawsuit, Cameron said that Simon would have likely received received an insurance payment for her counseling. The lawyer for Simon, Michael Ellis, stated that the suit would cover money lost from missing work as well as therapy costs. But Cameron says that’s hogwash as Canadian law protects people in these situations from losing their homes and assets. Unbelievable and sad that people are resorting to this level of behavior, actually trying to sue victims of an accident where a kid was killed.